Below are some useful resources discovered online. Decided to share. You'll find at least one or two links that lead to reputable non-governmental agencies, such as the NOSSCR and others. -- How do I apply for social security disability benefits? -- What is Supplemental Security Income and how do I apply? -- Benefit Eligibility Screening Tool (BEST)--Use this tool to find out if you could be eligible for benefits from any of the programs Social Security administers. -- Disability.Gov--A comprehensive site of US federal programs for families dealing with disabilities. Includes a section specifically related to children. -- Disability Starter Kit--This kit consists of a factsheet which answers questions about applying for disability benefits, a checklist of documents and information Social Security will request, and a worksheet to help you organize and gather the information you will need. 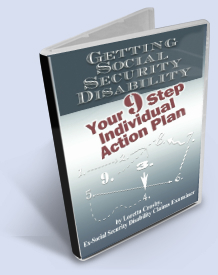 Here is the direct Social Security Disability Starter link. -- Social Security Administration--The Social Security Administration`s Web site provides information about Retirement, Survivors and Disability Insurance Benefits, and Supplemental Security Income. The site also provides wage reporting information for employers. Social Security Disability Insurance pays benefits to you and certain members of your family if you are "insured," meaning that you worked long enough and paid Social Security taxes. Social security disability retroactive pay: Monthly benefits that you may be entitled to before the month you actually apply, if you meet the requirements.